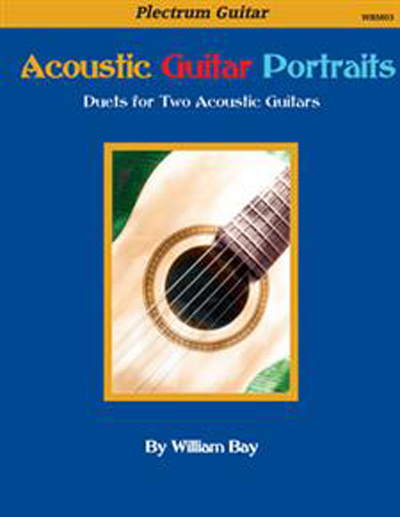 Acoustic Guitar Portraits is a collection of scores from my recording of the same name. The music reflects a rich variety of musical styles and is original. The rhythms are contemporary and the harmonies are lush. The duos feature an intricate dialog between the two acoustic guitars. It has been my goal to present performance or concert material for the plectrum (flatpick) guitar. These compositions were written with that in min. We also carry the companion CD.